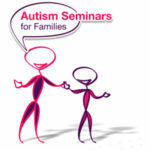 This programme of seminars, developed by the National Autistic Society, provides information, advice and support to families of children and young people with autism spectrum conditions (ASC), including Asperger syndrome. Sensory Needs, looking at sensory systems and how they work, how people with ASC may process sensory information differently, how children with ASC may have different sensory experiences, and strategies to help with sensory needs. See below for dates of forthcoming Autism Seminars for Families and all our other workshops. Either click on the highlighted dates on the calendar and click on the Register Now button if you would like to book a place, or scroll down the page for information about what’s on in your area – when all tickets are booked we will operate a waiting list and release tickets if there are any cancellations. These will take place at Bracknell Open Learning Centre, in Rectory Lane, from 10am to 2.30pm. Tea and coffee will be provided but participants are asked to bring a packed lunch. These will take place at RISC, at 35-39 London Street, from 9.30am to 2.30pm. Tea and coffee will be provided but participants are asked to bring a packed lunch or buy lunch from the RISC cafe. Friday, April 26: Understanding Autism. Click here to book. Friday, May 10: Meeting Sensory Needs. Click here to book. Friday, June 14: Managing Anger. Click here to book. These will take place in the Green Room at The Curve library and cultural hub, in William Street. The workshops until April 5 will run from 9.30am to 2.30pm. The workshops from April 26 will run from 10am to 2.30pm. Tea and coffee will be provided but participants are asked to bring a packed lunch. These will take place at Thatcham Baptist Church, 1 Wheelers Green Way, RG19 4YF, from 9.30am to 2.30pm. Tea and coffee will be provided but participants are asked to bring a packed lunch. Friday, May 3: Understanding Autism. Click here to book. Monday, May 20: Meeting Sensory Needs. Click here to book. Wednesday, June 12: Managing Anger. Click here to book. These will take place at Windsor Youth & Community Centre, in Alma Road, from 10am to 2.30pm. Tea and coffee will be provided but participants are asked to bring a packed lunch. These will take place at St Paul’s Church, 32 Reading Road, from 9.30am to 2.30pm. Tea and coffee will be provided but participants are asked to bring a packed lunch. This new workshop provides advice and ideas to parents and carers to teach strategies to help children and young people on the autism spectrum to manage their emotions, including using visual supports such as the Incredible 5 Point Scale and Comic Strip Conversations. Please note that due to NHS funding rules, the Emotional Self-Regulation workshops are only open to parents and carers who live in Bracknell Forest, Slough and the Royal Borough of Windsor & Maidenhead. When all tickets are booked, we will operate a waiting list and release tickets if there are any cancellations. Bracknell: Thursday, May 16: Click here to book. Slough: Thursday, June 20. Click here to book. Windsor: Friday, June 28. Click here to book. You can book by clicking on the links above or by using the calendar towards the top of this page. When all tickets have been reserved, we will operate a waiting list in case any bookings are cancelled. The Autism Seminars for Families are funded by the East Berkshire and Berkshire West NHS Clinical Commissioning Groups, allowing us to provide them free of charge to parents and carers. Emotional Self-Regulation Workshops are funded by the East Berkshire CCG and are for residents of the Bracknell Forest, Slough and Windsor & Maidenhead council areas only. The CCGs also fund a number of other autism advice and support services for families living in Berkshire, provided by other charities. Click here for details of all the services in the East Berkshire CCG area – Bracknell Forest, Slough and Windsor & Maidenhead – provided by Autism Berkshire, Parenting Special Children and The Autism Group. 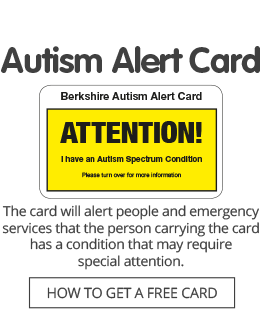 Click here for details of services for the Berkshire West CCG area – Reading, Wokingham and West Berkshire – provided by Autism Berkshire and Parenting Special Children. Autism Berkshire is hosting a free Accessing Public Services Toolkit Workshop for Parents and Carers from Cerebra, the charity for children with brain conditions, including autism. The workshop, at RISC in Reading on Thursday, May 23, aims to support parents and carers of disabled people who are encountering difficulties with the statutory agencies in relation to the provision of health, social care and education support services, and professionals who support and advise parents and carers. The workshop is open to all parents and carers of autistic and disabled children, young people or adults who are resident in Berkshire and to frontline professionals who work in the county. The workshop will run from 10am to 2pm at RISC, 35-39 London Street, Reading. There will be a half-hour break for lunch. RISC has its own cafe and there are other food outlets nearby. Click here to register for free places. Please note that this is not a legal advice workshop, the Cerebra facilitators will not be able to give an opinion on individual legal issues. Facilitators can signpost participants to legal advisers. Click here for more information about Cerebra and the service it provides. We are grateful to Reading Buses for their support with funding for this event. These free sessions for parents and carers, including grandparents and other relatives, aim to help them, or those they support, to improve their self-esteem. Ideas will be offered on ways to enjoy the moment, see the positives in life and to set realistic goals for yourself or those you support. They are open to parents and carers living in Berkshire. Free places must be booked in advance. We will operate a waiting list if all places are reserved. Dates of forthcoming workshops will be posted here. Call 01189 594 594 or email admin@autismberkshire.org.uk if you would like to register an interest in attending a Positive Thinking workshop. These workshops take place at RISC, at 35-39 London Street, Reading. The venue is close to the Queens Road and Oracle Centre car parks, town centre bus stops and Reading railway station. These workshops are funded by Reading Borough Council’s New Directions learning and employment service. These free Internet Safety Workshops for Parents and Carers will help them to support children and young people with autism to safely navigate the online world. Children, young people and adults with autism can be more vulnerable online. The workshops are designed to help parents and carers improve their own knowledge and confidence, so they are better able to help those they support. Ideas for guidelines on use of the internet and mobile phones. The positive side of the online world, including tools and software to enhance users’ experiences. Dates of forthcoming workshops will be posted here once they are arranged. The workshops are open to any parents or carers of children, young people or adults with autism who live in Berkshire, as well as other relatives, including grandparents. We are able to offer these workshops free of charge thanks to funding from the Thames Valley Police Property Act Fund, with the aim of reducing cybercrime affecting vulnerable people. For more information about this course, call the Autism Berkshire office on 01189 594 594 or email contact@autismberkshire.org.uk.